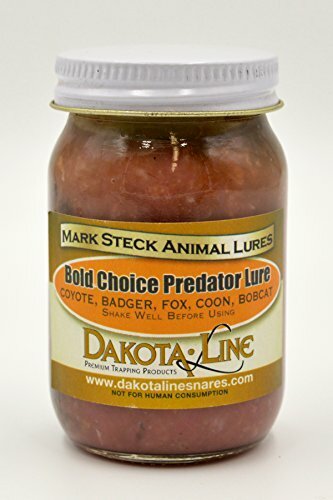 1-1 oz Steck Lures BOLD CHOICE LLDC by DakotaLine at Freedom from Government. MPN: sbold1oz. Hurry! Limited time offer. Offer valid only while supplies last. A long, long, distance call lure with absolutely nothing subtle about it. From coyotes to fisher, it reaches out and grabs them by the nose. A long, long, distance call lure with absolutely nothing subtle about it. From coyotes to fisher, it reaches out and grabs them by the nose. Forewarn your mailman. A long, long, distance call lure with absolutely nothing subtle about it. From coyotes to fisher, it reaches out and grabs them by the nose.